Lions Eye Institute for Transplant & Research, Inc. is a transplant and research organizations that procures, prepares, and distributes human eye tissue for biomedical research to academic, government, and industry markets. LEI has developed a research website in which human donor tissue specimens will be correlated with the ORBS (Ocular Research Biologics System) database of clinical, statistical, and scientific information. Researchers investigating a wide range of blinding eye diseases and disorders rely on donated human eyes and eye tissues for their research. 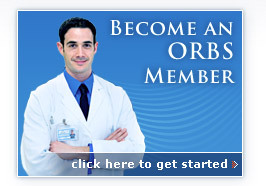 The ORBS website is the direct link between eye banks and research outlets. The system allows real-time access to information needed to make recovery decisions that benefit all parties involved. Progress in treating cataracts, macular degeneration, glaucoma, and diabetic retinopathy and other eye disorders hinges on timely access to both normal and diseased human eye tissues. This will provide the fundamental material upon which clinical and laboratory research will introduce new drugs and diagnostic tools. The eye bank is in a unique position to further such research, which may ultimately benefit the lives of millions suffering from ocular diseases. © Copyright 2019 Lions Eye Institute for Transplant & Research Inc. All Rights Reserved.